Lichenology group at Duke University during Fall 2011. From left to right, back row: François Lutzoni, Emilie Lefevre, Olaf Mueller & Martin Ramirez. 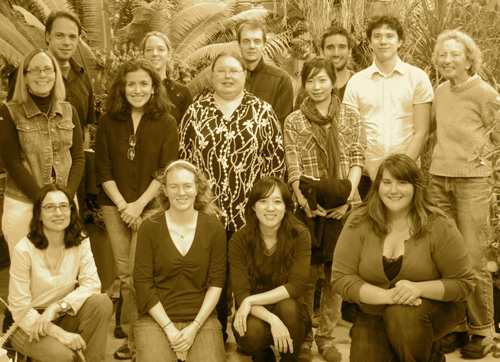 Middle Row: Kathleen Miglia, Eimy Rivas Plata, Molly McMullen, Kohsuan Chen, Nicolas Magain & Chicita Culberson. Front row: Jolanta Miadlikowska, Tami McDonald, Ryoko Oono & Kathryn Picard. Not pictured: Ester Gaya & Daniele Armaleo.